The world is still reeling from the untimely death of the late, great, Prince. About a week and half ago, news broke that the singer, songwriter and occasional actor had passed away at the shocking age of 57. Since then, the news and drama around the legend’s death has only continued to grow, with news regarding the fight for his estate, and the cause of his mysterious death causing innumerable headlines and news stories. Now it appears that things have taken another unexpected turn, this time thanks to singer Sinead O'Connor. Sinead O'Connor, who a notably tempestuous relationship with the late songwriter, took to her personal facebook in order to make some bold allegations regarding Prince’s untimely death. That allegation: that comedian and talk show host Arsenio Hall was apparently responsible for Prince’s death. You can check out the facebook post below. These are some bold accusations. Not only does Sinead O’Connor publicly accuse Arsenio Hall of providing drugs for Prince, she goes so far as to claim that she’s already contacted the police and tipped them off to this accusation. Additionally, she further attacks Hall’s character by maintaining that he apparently spiked her drink a year ago. The statement regarding Arsenio Hall is absolutely false, ridiculous and absurd. I’ve got to say, the accusation could seem a bit of out left field. 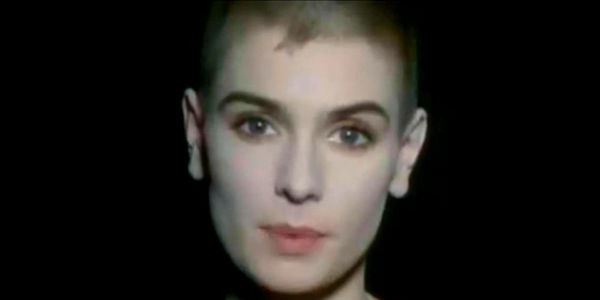 Sinead O’Connor has a few things going against her in this matter. For one, Sinead O’Connor is known for having a less than ideal relationship with the late Prince. She is perhaps best known for her rendition of the song “Nothing Compares 2 U”, written by Prince. She had produced her cover without Prince’s involvement, was reportedly “summoned’ to his home. The two icons reportedly engaged in an verbal argument which eventually turned physical. So the question is: if the relationship between Prince and Sinead O’Connor was so violent, why would she take a stand and make an accusation regarding his death? Additionally, it does seem a bit unlikely that Prince needed anyone’s assistance if he truly wished to procure controlled or illegal substances. Until the point of his death, Prince was still heavily involved in both the music and party scenes. In fact, the week of his death included a brief appearance at once of his infamous Paisley Park parties, as well as the attendance of a concert by singer Lizz Wright. With such a colorful life, it seems that drugs would be easy to acquire if that was indeed the late singer’s intention. Much of the details regarding Prince’s final days and cause of death remain to be a mystery. While the world is wondering, and apparently Sinead O’Connor wants to get to the bottom of it, it may be best for Prince’s loved ones if the details of his death remain private for the time being. Of course, our hearts continue to go out to the late singer’s loved ones, and we fondly remember the impact Prince had on music, television, and film alike.